Today, we are going to describe the next-generation ERP software from the perspective of the Magento 2 SAP S/4HANA integration. 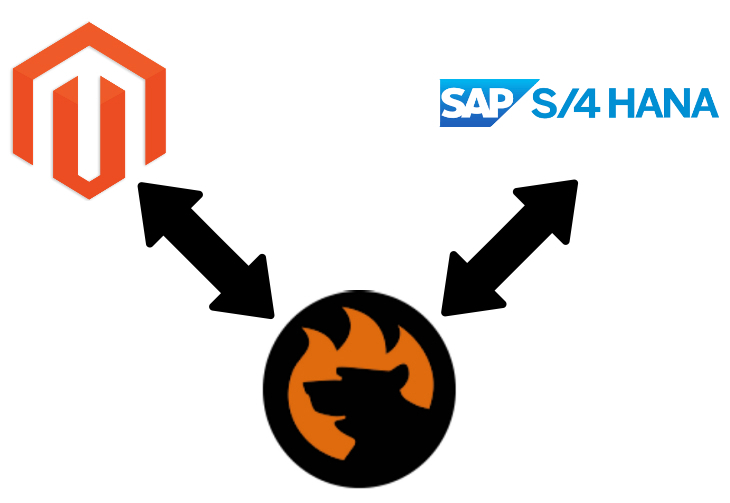 The following post sheds light on the ERP platform as well as discusses a Magento 2 SAP S/4HANA connector. If you want to establish a hub connecting your e-commerce store with people, business networks, Big Data, the IoF, and more, you’ve come to the right place. SAP S/4HANA is a popular software solution designed to push the management of various business processes to an entirely new level. The ERP suite of apps is available on-premise or right in the cloud. Let’s take a look at features they include. Rapid integration with other SAP solutions to help you scale. It is also necessary to emphasize the frequency of updates provided by SAP. You can always benefit from the latest innovations with the Magento 2 SAP S/4HANA integration since the platform runs quarterly software updates at no additional costs. Thus, you always get the most recent features in the area of predictive analytics and machine learning. Highly optimized processes are another benefit of SAP S/4HANA. The platform utilizes the best practices to turn your daily routine in a set of user-friendly actions which are often automated and require the minimum interaction. Thus, you can quickly expand your e-commerce business to new markets. Note that SAP S/4HANA is available in over 25 countries and 15 languages so that opening a new office abroad is no longer a problem especially with the multilingual nature of Magento 2. Finance. With the Magento 2 SAP S/4HANA, you can easily consolidate and leverage the following types of information related to your e-commerce store: financial, managerial, and operational data. The ERP solution allows creating a single source with all metrics designed to accelerate performance with real-time processes and predictive analytics. Thus, you can not only fix issues in real time but also prevent them long before real problems occur. Procurement. With SAP S/4HANA, you not only get the ability to enable innovative procurement processes, but you also reduce manual tasks and increase the efficiency of all business processes related to this area. Another essential benefit introduced in the ERP solution is the ability to improve contract renegotiation and compliance processes fully leveraging predictive analytics. Enterprise Portfolio and Project Management. 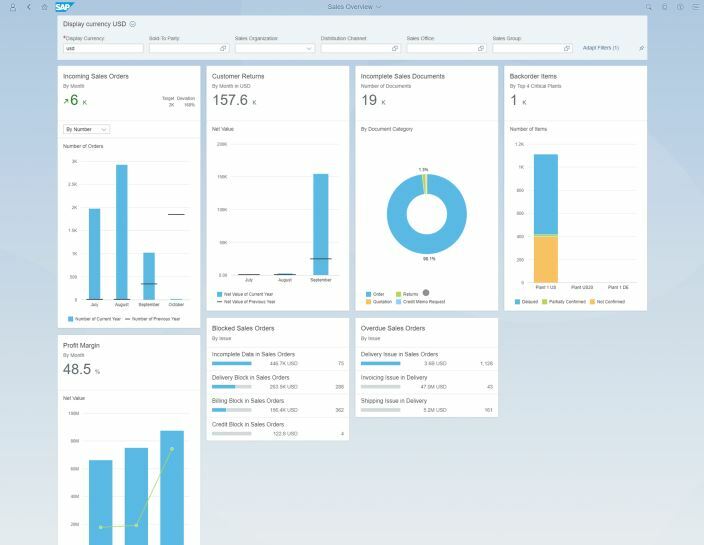 The goal of every ERP is to increase the efficiency of business management, and SAP S/4HANA is not an exception. The system provides all tools necessary for managing your projects in an entirely new manner. User-friendly tools display accurate insights into multiple project areas. For instance, you get advanced project cost forecasting. Other vital aspects are ultimate monitoring and timeline reporting. Note that SAP CoPilot is utilized as an Intelligent Project assistant. Sales. SAP S/4HANA provides your marketing and sales teams with all the necessary insights. Consequently, they can effortlessly accelerate productivity and sales performance pushing your business to a completely new level. And it is possible to enable relevant conversations and interactions anytime and anywhere. Professional Services. This area covers multiple real-time financial management processes designed to increase the efficiency of your e-commerce business. To achieve this goal, SAP S/4HANA offers end-to-end global project control as well as total operational visibility. Both factors have fundamental importance on your way to the renewed and increased performance. Component Manufacturing. That is another set of apps designed to make your business better. First of all, they help you build customer centricity. Next, you get an opportunity to increase the current production excellence and push it to a new level. Besides, SAP S/4HANA lets you manage supply chains on the basis of real-time customer demand. As for pricing, there is no exact cost of running SAP S/4HANA. The system is available on a monthly subscription, and the price depends on the size of your enterprise and the tools you need. Note that SAP S/4HANA is highly flexible so that you can fully integrate it with your business covering all existing needs. To get all the aforementioned features enabled on your e-commerce website, you need a reliable Magento 2 SAP S/4HANA connector. The extension should move data to and from your store as well as automate every update. We know for sure that the Improved Import & Export Magento 2 extension fully copes with this requirements. Therefore, let’s describe several essential benefits of the module. The work of the plugin is based on import and export profiles. You can configure the unlimited number of them enabling as many integrations as you need. 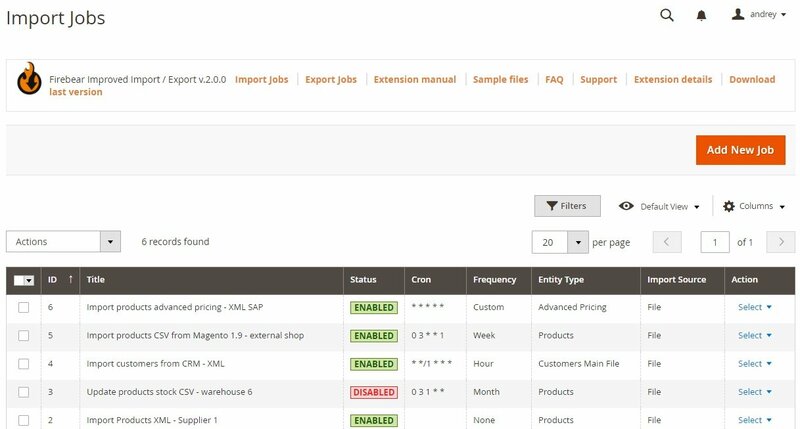 The Improved Import & Export Magento 2 extension is platform-agnostic so that you can connect your store not only to SAP S/4HANA but also to all possible marketplaces and price comparison engines. And since import and export profiles are totally independent, there is no need to configure or just disable import if the only required functionality is export, like in case of shopping engines. Create a new export profile and provide the external system with all the necessary data in any required format on time. At the same time, you can have the unlimited number of import profiles that serve other integrations. As for the aforementioned file types, the Improved Import & Export Magento 2 extension offers the most extensive list of supported formats. In addition to standard CSV and flexible XML, our module works with TXT, JSON, and native Excel files: XLS and XLSX. With such a variety of formats, the plugin satisfies every connection based on file transfers. And don’t forget that multiple file sources are supported as well. With the Improved Import & Export Magento 2 extension you can leverage a local or remote server to move files between your store and any external system. The extensive FTP/SFTP support provides the ability to run data between most platforms. If servers are not suitable for this purpose, you can leverage a Dropbox account since the Improved Import & Export Magento 2 extension fully support the cloud. Another way of integration is based on the use of URLs. It is only necessary to provide the module with a direct link to a data file, and the plugin will import it. Even if data is compressed, you don’t need to perform any additional actions due to automated unzip/untar processes. In case your connection cannot be satisfied with a file transfer, the Improved Import & Export Magento 2 module allows using Google Sheets as a source of the update. A popular service introduces the transferable information in the most user-friendly manner. Alternatively, the extension allows connecting to an external system via API. This type is often used in case of complex integrations with ERPs or similar systems. Thus, Magento 2 SAP S/4HANA synchronization may be based on API. Contact our support for further information. As for automated processes, the Improved Import & Export Magento 2 module allows you to create a schedule of all updates and let the extension launch them without any external interaction. This functionality is enabled with the cron support and you need to know the standard cron syntax to create a custom schedule. At the same time, it is possible to select an update interval from the list of predefined values. Besides, the extension enables you to create profiles that are launched manually only. Note that a manual mode is available for automated profiles as well. It is especially useful when you need to provide the external system with the new data right now, but the update is scheduled for the next day. The same is about import processes. Now, when you know how to simplify a part of your routine related to Magento 2 integrations with external systems, we should describe another time-saver – mapping. The corresponding section is available in every profile. It designed to match attributes of Magento 2 to any external requirements. If you are not familiar with the problem, let us describe the situation. Since every platform has its own standards regarding the way data is structured for the transfer, you should always edit data files to make the existing attributes suitable for the platform you are going to provide them to. For instance, it is necessary to match Magento 1 attributes to Magento 2 attributes before migrating data to your new store. The same is about all external platforms including SAP S/4HANA. Without the mapping interface, you should edit data files manually on every update. Luckily, the Improved Import & Export Magento 2 extension completely revamps this algorithm. Now, you should create a mapping scheme only once for each particular integration. Next, the module will apply it to every data update matching the attributes automatically. Alternatively, it is possible to apply mapping presets – mapping schemes created by our team for specific integrations. Please, contact the support with the inquiry about the existing presets since it is hard to cover all integrations right now. But we are always working on new presets!